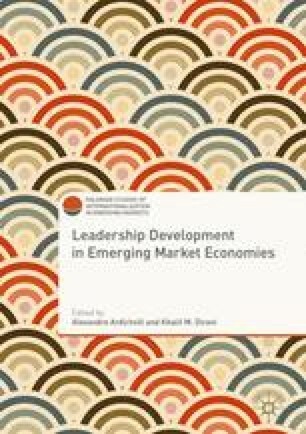 This chapter presents commonly held views on organizational leadership and distinctive organizational leader development practices in South Korea. The country has been actively adopting popular leadership theories originated from Western countries, yet two local views, paternalistic leadership and flexible leadership, prevail in the society and most organizations. Paternalistic leadership combines strong discipline and authority with fatherly benevolence, while flexible leadership emphasizes harmony through dynamic and dialectal interplays between conflicting forces. Two global corporate cases exemplify successful organizational changes by adjusting Western leadership principles to fit the paternalistic and communal culture of Korean organizations. These cases also highlight that leadership is a normative concept that is culturally shaped in local contexts, challenging a direct transfer between different national cultures.